In the business world, first impressions matter. You can make your business stand out in a positive way when you choose the Hunters Creek Village commercial painting contractor who can help you put your best for forward. Since 2015, Palmer Pro has been painting commercial buildings in Hunters Creek Village Texas. Businesses have trusted Palmer Pro to enhance and protect the exterior and interior of their commercial buildings. Giving your property a facelift doesn't have to be expensive. Give Palmer Pro a call for a competitive exterior painting quote and find out how reasonably priced improving the curb appeal of your property can be. Give us a call today for a quote on your next project at (832) 410-1868. When you’re looking for a painting company in Hunters Creek Village you can rely on to get the job done right, Palmer Pro has the commercial painters in who deliver. Palmer Pro proudly delivers quality results to improve the look of your office or facility, so that looks enticing and feels welcomes your employees and visitors. At the core of each commercial project we undergo is preparation. Our commitment to thorough preparation it what separates us from other commercial painting contractors in Hunters Creek Village. Steps won't be skipped as we properly care for your property as if it were our own. First, small holes and dings in the walls are patched and drywall imperfections are repaired. Next, surfaces are cleaned, sanded and primed. Finally, the painting begins. We're not done, though, until you are fully satisfied. Our crews work to exceed your expectations. Call (832) 410-1868 to get started. Have the walls and common areas of your office building become dull and dated? Let Palmer Pro take the "ho hum" from your business with pops of color and a fresh coat of paint on your Hunters Creek Village office walls. If you notice your walls peeling or bubbling, your customers will too. Our diligent commercial painting team can brighten up your entrance, work areas, and exterior surfaces, making your commercial property look more crisp and fresh. Are you considering painting the exterior of your Hunters Creek Village building? Palmer Pro will help with providing exterior commercial painting at a reasonable price. We'll help you create a welcoming atmosphere to any building and increase value and curb appeal. Do you want to paint your Hunters Creek Village office building, but are concerned about the hassles and down time involved? 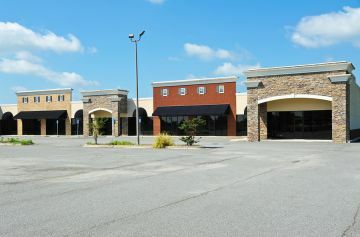 As Hunters Creek Village's Commercial Painter of choice since 2015, it is our mission to keep your business looking it's best without interfering with your business operations. We try to get all work done during your off-hours. When that isn't possible, your responsive painting crews will work discretely around your needs to get the job done with minimal interruptions to your business. Call Palmer Pro today for a free commercial painting quote at (832) 410-1868.